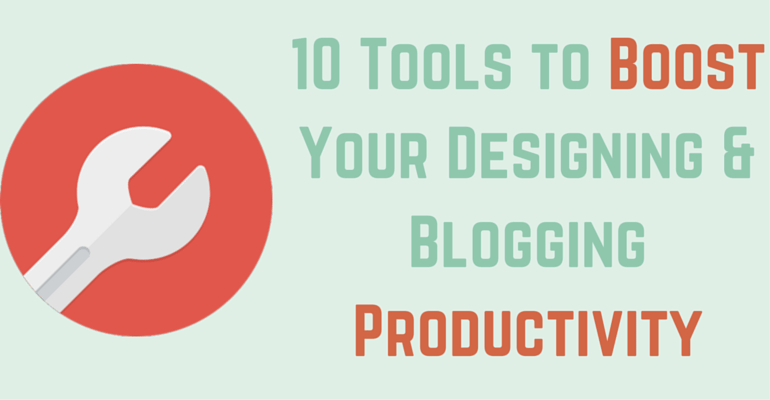 You’ll find lots of interesting posts about productivity tools out there. I have discovered so many wonderful options through them. But most of the times, I didn’t really benefit a lot from such roundups. Not because the tools that were suggested were not great – they always were. Perhaps, the overwhelming 5+ options suggested under every section didn’t work out great for me. I just end up bookmarking the post (and never really returning to it). But productivity tools really make a huge impact on your output and its quality. So, I thought of putting together this list of tools that I use often and that saves a ton of my time. I’m confident that they will boost your productivity just as they did mine. This will eventually help you to improve your blog with more efficiency. collaborating with the team and so on. For all these tasks, I’m sharing my favorite and most productive tool. The only area where I’m suggesting 2 options is task-management. And that’s because I think Asana and Trello are polls apart and equally remarkable. Sometimes, I myself seem to be in a fix about using one of the two. Otherwise, there’s just 1 tool for each purpose. One thing that’s common for both WordPress designers and bloggers is that they work on multiple projects. And without a proper project management system in place, it’s easy to lose the handle on track. And the following results can be enough to send your bags packing. I used to be all up for Google Spreadsheets for tracking, but I was introduced to Asana by a friend. And I’m so glad that I tried it. Now that I am using an advanced task tracking system like Asana, I can easily feel my productivity soar. Among the other areas where spreadsheets seem outdated, automation is the biggest disappointment. There’s no way to set out reminders for yourself or get notified about a daily to-do list and so on. Asana does all of this and so much more. It has changed how I plan and track my tasks. I can invite new people onboard with a single click. I’m sure that Gmail, Thunderbird and Outlook have given you tough times too. I once had to go through a thread with about 100 emails only to find out the one that carried an attachment. All of this after reading quite a few posts about extracting all the attachments from a thread! It does get messy at times. Asana lets you add attachments to the project itself. So, you don’t have to worry about losing them or go through the trouble of finding them. I treat Asana’s checklist feature as a simple add-on. But it feels good when I have to track several sub-tasks within a task. When I’m working with a client for a couple of things, I simply use tags to identify the task types. This is a very handy feature when you can see that your task list might just grow pretty long across several domains. Upon sign up, Asana gives you a send-to email address. Any email that is forwarded to this email id gets added to your Asana task list. It’s an amazing feature and pretty handy when you have half a dozen clients pouring infrequent emails. Asana helps you keep your inbox clutter-free as all the collaboration happens over it and not through endless email trails. I’m always fishy about apps and tools that run the freemium model. Often the real gems are only available to the pro members. But Asana offers several power-packed and brilliant features – all for free – for unlimited projects. So, I don’t have to think at all before adding new clients/projects. Trello is for all the guys who love beautiful interfaces. Trello, with its delicate and beautiful design, offers top-notch project and task management capabilities. Boards >> Lists >> Cards – That’s how you can organize your work in Trello. You can create projects at the board level. Followed by lists representing your project stages. And ultimately, the cards that hold the actual to-dos and checklists. If you look at these features, they aren’t as exhaustive as Asana, but they are perfect enough to get the work done and keep track. You can set-up unlimited boards and then go about adding task lists to them. This is a lot like Asana. You can simply enter a person’s email id to add him/her to the board. Just like Asana, Trello has no strings attached here. It lets you create unlimited projects and tasks. You can collaborate over comments and ditch the conventional email threads. I’m sure that you’ll find Trello’s design very inspiring. It’s strange how even long and piled-up to-do lists can also look that gorgeous. Timeboxing is at the heart of most time management tools and activities.If you just get this one right, you’ll do pretty well with the rest. The Pomodoro technique uses the timeboxing concept to help one become more productive. There’s a timer that sets off once your break is over. You can download the free app for your system and set the time lengths as per your productivity. Traditionally the Pomodoro technique takes up chunks of 25 min followed by 5 min gaps. But I’m sure you can concentrate a bit more than that. So, just download it and discover the maximum period for which you can stay focused and productive. I’ve seen my productivity skyrocket under this technique. And I can guarantee that you too will use your time better with just this one app. This productivity app is up and running in under 60 seconds. Just when you’re about to feel lazy, you can hear the timer ticking away. It constantly pushes you to reach the target before the timer really goes off. DropBox is a fantastic cloud storage service. It lets you store up to 2 GB data for free. Beyond that, you can either buy extra space or refer friends and leverage some more space for your account. You can download Dropbox for your mobiles too. Since this is mainly used for sharing files, you can manage it easily from almost any device. I mostly get all the designers to send over the posts’ featured images and other graphics to me through Dropbox. There’s nothing really for me to do in there other than just downloading. Sometimes all that you need is the convenience of being able to get the files with just a single click. This is exactly what Dropbox does. Essentially, Evernote is a simple note-taking app. But it comes packed with some really impressive task management and tracking features. You can also create checklists with it. While there are lots of things that this app can take care of, I still like to use it just for taking notes. I think that’s what it’s best at. I use Asana and Wunderlist for the rest. No matter where you took your last note, once connected to the Internet, your notes will show up on all your devices. Evernote lets you tag your notes as you save them. This helps when you want to search for them. You can simply speak your notes and record them for revisiting. It’s so tempting to use passwords like some-obvious-word123#. That’s the toughest that our passwords really get most times. Unfortunately, we have to pay for such lapses very dearly. In this context, I often refer people to the infamous LinkedIn security breach, and the stunning passwords that some of us can use for our most important professional profiles. LastPass is an amazing free service that lets you create and store unlimited login credentials. You can also download their mobile app for just $10/year. I’ve been a pro member and must say that it’s a little amount to pay for the convenience that you experience. Whenever you are signing up for a new site, you only have to click just once and LastPass will generate a tough password for you. You can choose to go in for a somewhat easy to remember password too. No matter how many times you sign up for a domain, LastPass will present a neat drop-down list of login details. You just have to choose the one that you’re interested in logging in with. Its browser extension works seamlessly. You can also get LastPass to create and remember your form fields. So the next time that you want to get something shipped, you can simply fetch all the details from your LastPass account. LastPass lets you share your login details with other LastPass account holders. You can decide if you want this person to be able to see or further share access with other people. There are quite some inspiring to-do apps out there, but somehow I seem to have got obsessed with this one. Wunderlist is branded as a to-do app. But don’t get fooled by this or its finished look. You can begin working on it by just creating a simple task list, but the minute you need advanced collaborating capabilities, this app can transform itself into a tough taskmaster. It even lets you add attachments! The free version comes with most of the bells and whistles of the premium version. You can easily share your to-do lists with other people. You can assign tasks to all the fellow members. You can add a deadline to each task and choose to be reminded. You can simply add comments and the app gives alerts and email notifications about the same. If you don’t want too many emails, you can set the notification preferences accordingly. It’s as good as if the Wunderlist was built mobile-first. It has a lovely interface and whether you’re managing your domestic groceries list or complex projects, you’ll only find it delightful. Google gives about 15 GB storage space for free. And for an additional $2/month, you can get up to 100 GB storage space. Google Drive is a key workspace for collaborating. The best part is that you can download apps for your desktop and mobiles and get Drive to work even when you don’t have Internet access. While there are hundreds of other options that provide virtual storage, none of them even comes close to the rock-solid integration with Gmail as Google Drive (for obvious reasons of course). However, Linux pros aren’t huge fans of the Google Drive as Google doesn’t have an app for this operating system yet. Google Drive has some interesting extensions that allow you to save links, previews and images directly to your Drive. Some screenshot extensions too let you save screenshots directly to your Drive folders. This obviously helps in decreasing overhead. Especially when you’re creating content mainly over the Drive. Almost all the work that you create over the drive can be shared with your full team. While sharing, you can decide what privileges you want to give to the people who you’re sharing the files with. Comments and feedback can be added right within the files, and you can choose to get notified about the same. Thus collaborating and putting together the full file becomes easier. Besides, the revision history feature lets you track all the changes to a file. IFTTT is an interesting service that’s gradually picking up. You can use IFTTT (If this then that) to pre-define actions that will happen when certain triggers are pulled. For example, if your RSS item contains the term “Internet Marketing”, you can create an IFTTT recipe that uses this trigger and sends an email to you about the same. Without doing anything really, you can have your tasks happening passively in the background. This can save you a ton of time – solving exactly the same purpose as the programmers designed it to. IFTTT is integrated with over tens of hundreds of services across the Internet. New services are frequently added. This huge network allows you to create almost any kind of recipes. Wave is a full suite of business accounting applications, but for the purpose of this post, I’m referring to its invoicing service. It doesn’t matter if you’re a WordPress designer, developer or blogger, you’ll thoroughly enjoy Wave’s invoicing service. Wave lets you add unlimited clients and raise unlimited invoices for free. The basic (free) plan features are more than you’ll ever need. There’s nothing fancy about the invoice though. It’s really very basic but the whole process of creating and sending out one is extra-ordinary. While you can obviously use it to invoice your clients, you can also keep a track of your expenses by invoicing yourself about all the expenses and investments that you make. You can actually email your invoice within 2 minutes of signing up. If you have overseas clients, you can enter the billing amount in the clients’ currency. You can also see its equivalent in your currency. If you have repeat clients that you offer identical services every term, Wave lets you create recurring invoices for them. You can filter out your invoices based on criteria like paid, overdue, partially paid and so on. This is my suite of productivity tools. I’m sure that you have your own. What’s in your productivity arsenal? I’d love to know in the comments. Thanks for sharing great insight about productivity tools, We are using onedrive for files storage and proofhub for managing projects. Both are extremely easy to understand and to use as we have some non techies in our team. Do I have to use any additional service for generating invoices in Waves or it comes as free bundled service? Great list! Historically I\’ve always been a huge Evernote user. Everything from notes, to-do lists, to project planning. I feel like my whole life is in Evernote! Recently, I\’ve been shifting a few things over to Trello. More of the project management and planning things. It gets complicated having multiple platforms and I wish there was a seamless integration of the two (although a hack with IFTTT always works). Both Evernote and Trello are reputed platforms for increasing your productivity. We are glad you liked the post. This is a great list! I loved Evernote but I have to say, when they limited the free version to 2 devices max, I was really disappointed. I use Google Docs primarily, it works especially since I’m not a Linux user. Glad you liked the list. We also use Evernote and yes, limiting the free version to 2 devices was unfortunate. Feel free to share any other tool you use and is missing from the list. Appreciate you dropping by and leaving a comment. What about a grammar checker like Grammarly extension and an online like https://www.grammarlookup.com It can boost productivity because this can help eliminate errors and improve readability. We would love to check out the tool.